Class Agents are alumnae/i who wish to further support The Sage Colleges by representing their graduating class and undertaking vital fundraising efforts. Class Agents champion the cause for The Sage Fund for Excellence by reaching out to their classmates to encourage communication, engagement and support. Our newest initiative to invest in student success. Your gift of $2,000 (or MORE) will provide an annual scholarship for a particular student who shares an affinity with you. Choose one designation, (i.e. campus, program, general) and we will match you with a student you can support and encourage in their academic journey. Tuition Revenue and Philanthropic Contributions. While some donors may restrict their gifts into endowed funds, contributions to The Sage Fund for Excellence, Sage’s Annual Fund, are essential because they immediately impact Sage’s ability to serve its students every year. 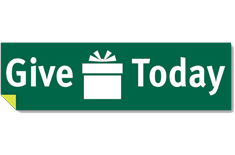 Your annual gift to The Sage Fund provides vital support for current and future students. Alumni participation, at any level, is taken into consideration by the U.S. News and World Report when ranking colleges nationally. Alumni participation is also a key factor in gaining corporate and government grant funding to support unique college initiatives. Use #sagecentennial and spread the word!